This Mantra bestows energy, confidence and strength of mind . We must listen to Vanara Gita and chant OM NAMO HANUMATHE NAMAHA.JGD. Jaya Guru Datta Puttuji !!! Om Namo Hanumate Namaha !!! Sri Raama Bhaktaaya Hanumate Namaha !!! JAYA PAVANASUTA VEERA MANUMAN KI JAI !!! Sri Guru Datta !!! The magic of Your voice and Your Nada bursts through the sound track for this video. It can melt stones and turn even the stone hearted into devotees. 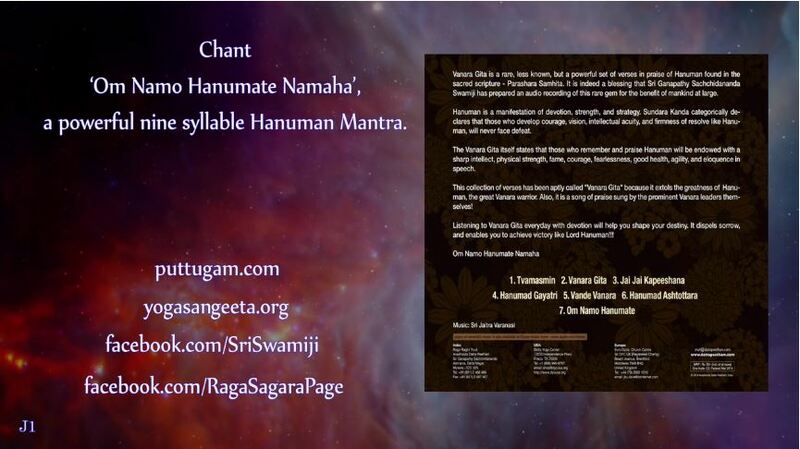 We are so blessed to be chanting Hanuman Chalisa daily. 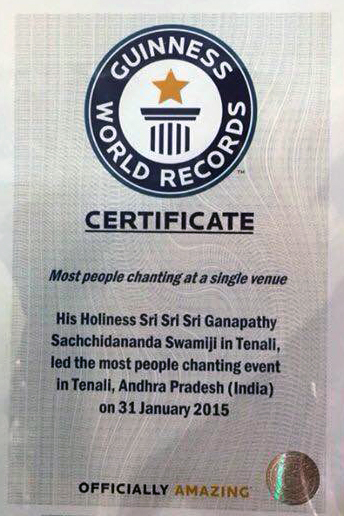 Thank You for blessing us with these rare and powerful hymns in Vanara Gita, Swamiji. Prostrations at Your Holy Lotus Feet. Jai Hanuman. Om Sadgurave Namah.